You Are Here: Home » Around the Web » Teaser Tuesday: The Vanishing Spark of Dusk by Sara Baysinger! Teaser Tuesday: The Vanishing Spark of Dusk by Sara Baysinger! Don’t miss today’s Teaser Tuesday from The Vanishing Spark of Dusk by Sara Baysinger, which released on Monday, January 8, 2018! “Human!” Another voice calls out above all the others. I recognize it. Smooth and lucid, like honey. Deceptively inviting. A voice that takes me back to the sluggish river on Earth and an August sunset. That voice saved me from slavery once. I halt at the edge of the lot and spin around. Kalen stares at me, lavender eyes sparking with shock before lighting with amusement. “Where are you going, little native?” he asks. My stomach drops. He recognizes me, but does he care? Is that boy I met alone on Earth completely different from this boy surrounded by slave-trading guards? “Do you even know how to swim?” He smiles a little, but his voice is laced with concern. A guard strides forward, lifting his hand to strike me. I’m breathing too fast. My brain screams at me to run while another, deeper part of me tells me to trust to him. “Did you misunderstand?” A muscle jerks in Kalen’s jaw, and the guard clamps his mouth shut, gestures for the others to follow, and they walk away. Kalen must be in a really high position to be ordering guards around. His breathing is unsteady as he stares at me. His muscles seem to relax, though, now that we’re alone. I blink at the sudden softness in his voice. The gentleness in his eyes. “What will happen to me if I stay?” I whisper. He blinks and averts his gaze. But he still doesn’t offer freedom. My heart is pounding. A bead of sweat trickles down my spine. Freedom is screaming for my attention. Maybe this is a suicide mission. And maybe. Maybe death is a better option than slavery, anyway. And leap off the ledge. When Lark is stolen from Earth to be a slave on the planet Tavdora, she’s determined to find her way back home to her family, no matter the cost. Placed in the household of a notorious slave trader, Lark quickly learns her best assets are her eyes and ears. And if she’s brave enough, her voice. Kalen is the Tavdorian son of a slave trader and in line to inherit his father’s business. But his growing feelings for Lark, the new house slave who dares to speak of freedom, compel him to reveal his new plan for the slave ships returning to Earth—escape. Together, they just might spark a change that flares across the universe. Sound like something you’d want to read? 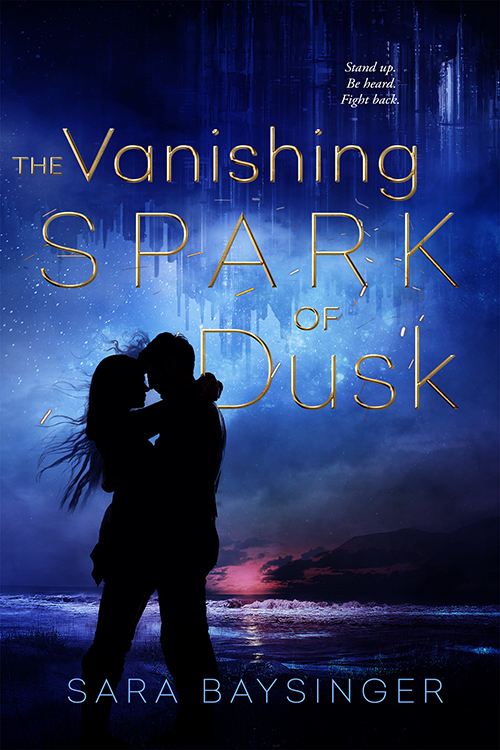 Purchase your copy of The Vanishing Spark of Dusk by Sara Baysinger today! Sara was born in the heart of the Andes Mountains in Ecuador where she spent her early life exploring uncharted lands and raising chickens. She now makes her home among the endless cornfields of Indiana with her husband and two children…and she still raises chickens. When not getting lost in a book, Sara can be found gardening, star-gazing, or drinking her favorite vanilla chai tea. You can visit her online at www.sarabaysinger.com. 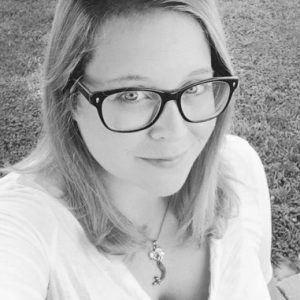 Swoon Sunday with Kalen Rydell from The Vanishing Spark of Dusk by Sara Baysinger! Swoon Sunday with Cai Coppersmith from Lions and Tigers and Boys by Tawny Stokes!